Our Michigan No-Fault insurance lawyers file claims on behalf of clients injured in Michigan auto accidents and Michigan motorcycle accidents on a daily basis. We also file claims for Michigan No-Fault insurance benefits for our injured clients. You can obtain these insurance benefits benefits by filing a written Application for No-Fault Benefits with the proper insurance company that has priority for paying your claims. Your own insurance agent, or the adjuster assigned to your claim, should promptly provide it to you. We also have the Application for No-Fault Benefits available for you on our law firm website that you can download and print for free. If your insurance company refuses to pay your no-fault insurance benefits, you only recourse is to file a lawsuit against your insurance company. If you choose to begin a lawsuit against your insurance company for No-Fault benefits, you must file a lawsuit within one year of the date on which the last unpaid No-Fault benefit was incurred. If you would like more information about your legal rights after a Michigan car accident, you can order our FREE book, "The Ultimate Michigan Car Accident Handbook" by Daniel L. Buckfire. 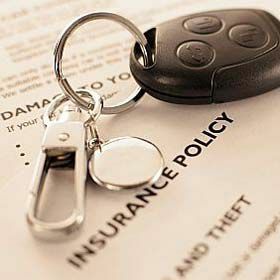 We will send it out immediately along with other important information on auto accident and No-Fault Insurance claims. For more information on your rights regarding Michigan No-Fault benefits or if your insurance company has terminated your benefits, call us now at (800) 606-1717 to speak with one of our Michigan No-Fault Insurance Lawyers about your case. No fee unless you win your case!